Obituary – Hamm, Anita Susan « Perry High School Alumni Association, Inc. Band, FHA, FTA, Thespians, Jr. Rotarian. 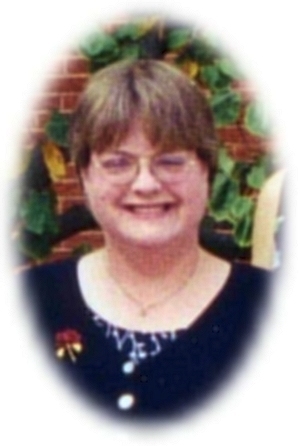 Anita S. Hamm, loving daughter, sister, aunt and friend whom our Lord called home on Thursday, June 24, 2004. 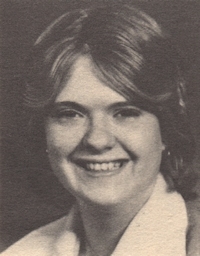 Anita, 45, of Perry, Oklahoma was the daughter of Carl B. and Marjorie Anna Wald Hamm. She was born July 26, 1958 in Perry, Oklahoma. She was a graduate of Perry High School and Court Reporting School in Dallas, Texas. She was a resident of the Perry community all of her life and was a member of St. Rose of Lima Catholic Church. Funeral services will be at 2:00 p.m. Tuesday, June 29, 2004 at St. Rose of Lima Catholic Church in Perry. Interment will be in St. Rose of Lima Catholic Cemetery under direction of Brown-Dugger Funeral Home. A rosary is planned for 7:00 p.m. Monday, June 28, 2004 at St. Rose of Lima Catholic Church. Memorials may be made to the American Diabetes Association in care of Brown-Dugger Funeral Home. Survivors are her father and step-mother, Carl and Kaye Hamm, of Perry, Oklahoma; three brothers, John Hamm and his wife, Debbie, of Norman, Oklahoma, Richard Hamm and his wife, Patty, of Amarillo, Texas; and Vincent Abraham and his wife, Amy, of Perry, Oklahoma; four sisters, Carla Brand and her husband, Dennis, Oklahoma City, Oklahoma, Therese Goodwin and her husband, James, of Edmond, Oklahoma, Debi Smith, of Miami, Oklahoma, and Valerie Villarreal, of Plano, Texas; nieces and nephews, Abigail Hamm, George Madden, Matt Madden, Wade Brand, Dennette Bare, Todd Brand, Jessica Hawkins, William Goodwin, Patrick Goodwin, Ryan Hamm, Reid Hamm, Ramsey Hamm, Austin North, Erin Smith, Heather Lawson and Matthew Villarreal; and great-nephews, Michael Tanner Bare and Isaiah Goodwin. Her mother, Marjorie Anna Hamm, preceded her in death.